Every year Ford organizes Global Week of Caring (GWC). On 15th Sept. 2012 the GWC was held at Maraimalainagar, Chennai. Around 100 volunteers from Ford organized the event SPPD beneficiaries showcased the various products like baby dresses, kids petticoats, skirts and tops for kids, embroidery work, table mat, paijamas for men, etc. that were tailored by them. 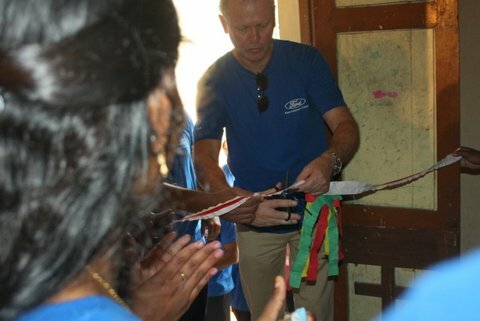 The event was honoured by Mr.Michael Boneham, Ford India President and Managing Director, General Manager and volunteers of Ford company. SPPD’s Advisory Committee for all the 23 Evening Study Centers was activated for this academic year. As a follow up, on 14th September 2012 the Committee meeting was held and the members consisting of the Local Ward members, Govt.School Headmaster, Govt. Teachers, Center students, parents, tutor and Programme Coordinator carried over the function successfully. During the meet, tree saplings, educational material, sports material were distributed to the students. 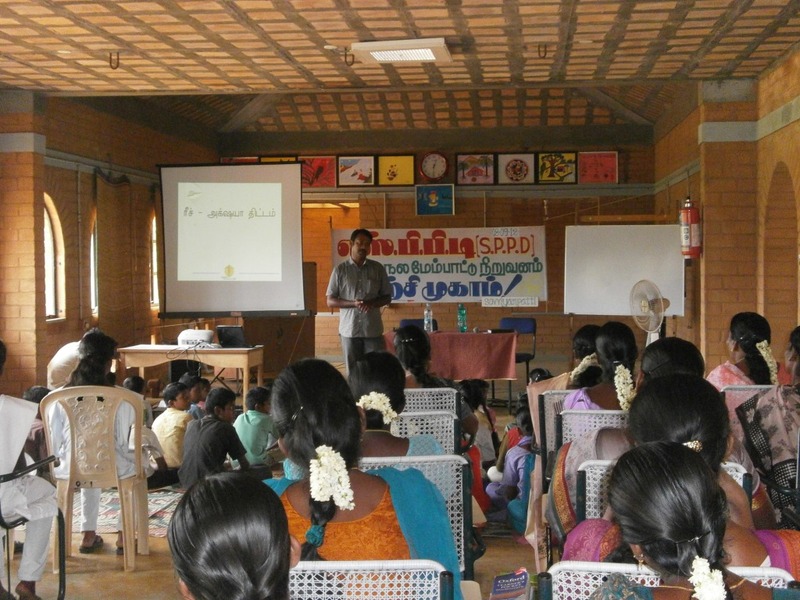 On 8th Sept. 2012, a one-day training programme was organized for SPPD Home children, tutors, students and staff on ‘Tuberculosis – Causes, impacts and precautionary measures’. Mr.K.C.A John Joyce Rajan, District Coordinator, Global Fund R-9 Project, REACH – AXSHYA was the facilitator of the programme.